In May, 2012, after being approached by citizens concerned about increased coal train traffic, the City of Missoula passed a resolution urging the US Army Corps of Engineers to conduct a comprehensive study of how coal trains traveling to proposed coal export terminals in Washington State would impact Montana. Blue Skies Campaign joined Montana Elders for a Livable Tomorrow, Northern Plains Resource Council, Sierra Club, and other local organizations in strongly supporting the resolution. 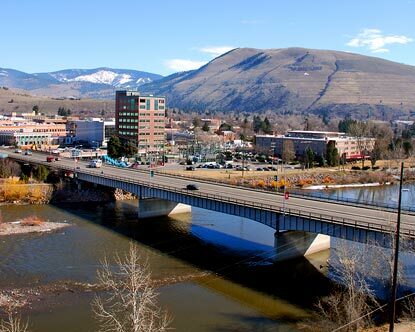 Less than one month later, the City of Helena sent a letter to the Army Corps making a similar request, following in the footsteps of Missoula and standing up for the health of Montanans. In 2013, the Missoula City Council passed another resolution, specifically requesting that impacts on Montana of the proposed Longview coal terminal in Washington be considered as well. Local governments in Montana are speaking up about the health, environmental, and economic impacts of coal exports. State officials should follow their good example, and work to protect Montana communities from the harmful effects of coal. City of Missoula resolution, 2012. City of Helena letter, 2012. City of Missoula resolution, 2013.